Who do I call after I get into a car accident? The primary concern after a crash should be the condition of everyone involved. Drivers, passengers and anyone else who has been injured should be given immediate medical attention. In the event that the accident results in a personal injury or in property damages that exceed $500, Florida law requires the notification of the appropriate law enforcement agency. Additionally, motorists should record the names and addresses of the other drivers, their insurance information and details about the vehicles involved in the accident, including their respective license plates. After the accident, you should also consider seeking help from a car accident attorney in Florida. Florida has what is known as a “no fault” insurance system. This means that drivers are covered by their own policies for the damages they incurred in the accident, including medical expenses and compensation for lost wages. However, this system can hamper the ability of victims to obtain the compensation they require, with the insurance provider perhaps trying to settle for an insufficient amount. Although you may be unable to challenge something as large as an insurance company, you can level the playing field with the help of a West Palm Beach car accident attorney. In the event that the accident resulted in injury or substantial property damage, you should consider seeking legal assistance. A personal injury attorney in West Palm Beach understands the workings of the justice system and will serve as your representative and adviser throughout the legal process. 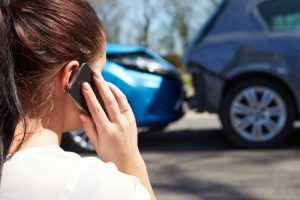 It is for these and other reasons why you as the victim of an accident should contact the law firm of Smith & Vanture at 800-443-4529.